The previously soulless High Street in Southampton has experienced a resurgence in recent years with the building of posh new apartments, restaurants and cafes. Look for number 94 High Street however and all you’ll find is a small red brick building with a corrugated metal roof and a locked wooden door. You probably wouldn’t notice it if you weren’t looking for it. Behind the uncharacteristic door is an iron staircase that spirals into a void below. 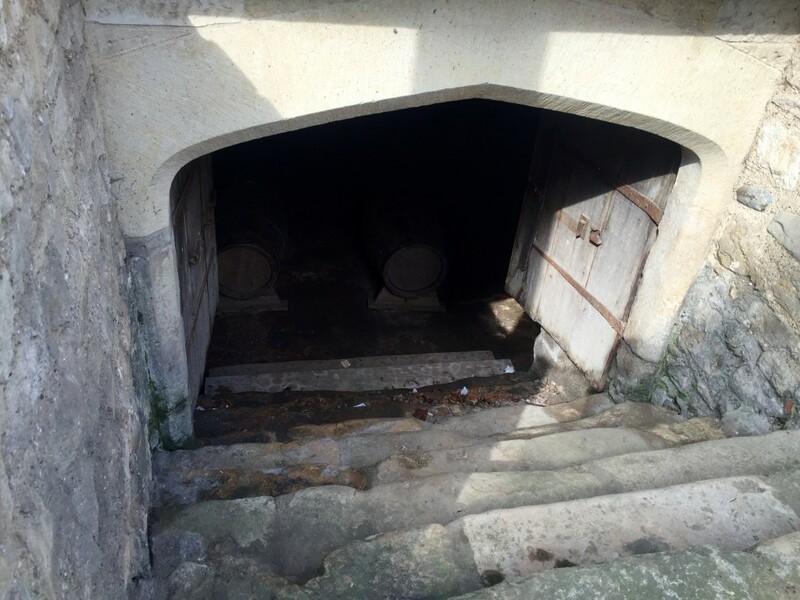 We’ve just descended these steps on the second stop of today’s tour of five of Southampton’s medieval wine vaults. Even as the spotlights from the torches of the rest of our tour group dance randomly on the vault’s curved roof, the atmosphere here is eerie. 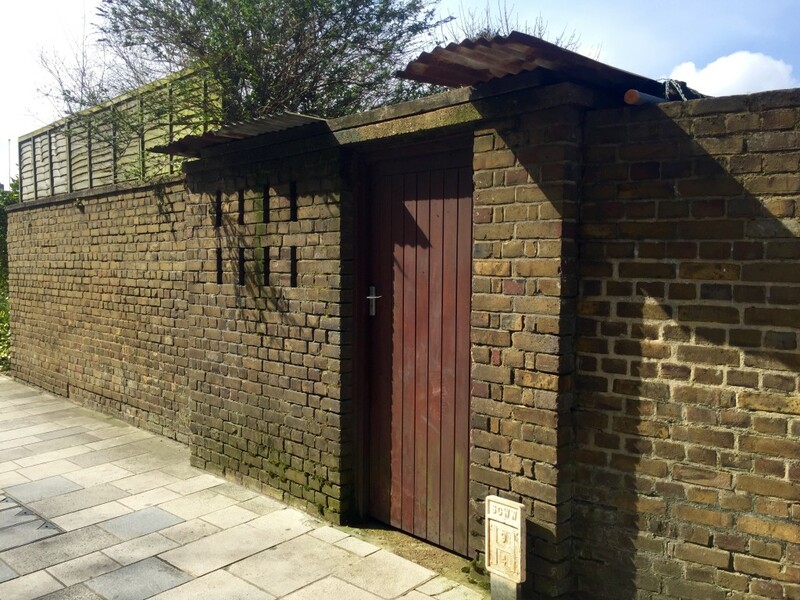 In the Second World War, the townsfolk used the vault as an air raid shelter. That is until a tragic night in November 1940 when German bombs destroyed the sweet shop above the shelter, blocking the exits with rubble and rupturing a water main. The vault slowly filled with water and nine people drowned. 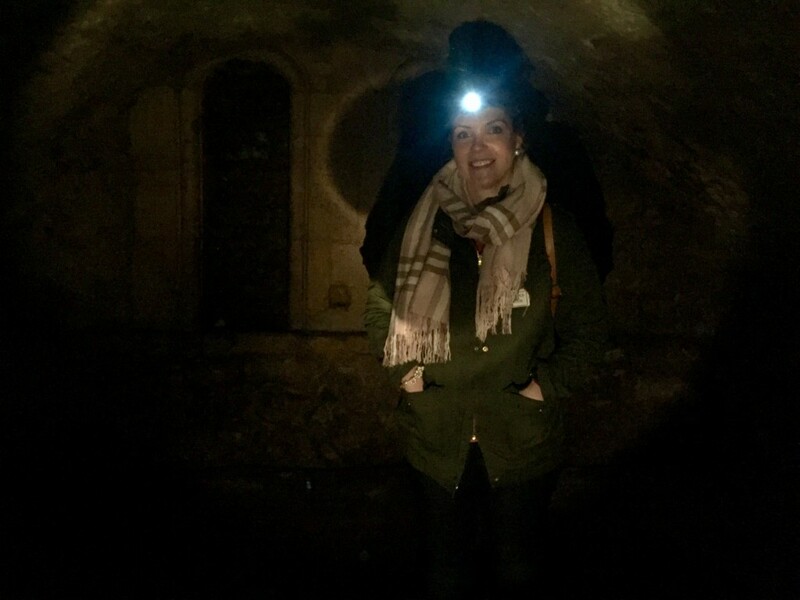 Despite the risk of getting trapped, many of the city’s medieval vaults were converted into bomb shelters as war with Germany loomed in the 1930s. In this vault now we could see the outlines of the “blast walls” on the floor. These makeshift walls split the vault into several sections, protecting occupants in other parts of the shelter from shrapnel and concussion if it received a direct hit. 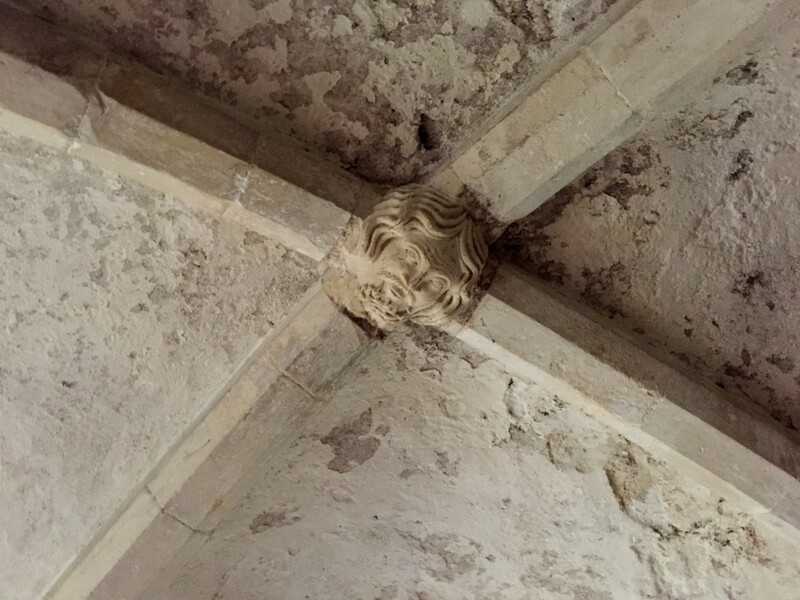 However, it was wine – not human life – that these vaults were originally built to protect back in the 14th century. Early on our tour, led by Dr Andy Russel, we learned that Southampton was a major importer of wine in those days. The government of the time even provided incentives for wine merchants to set themselves up in the city. The fact that the government seized 10% of imported wine as a tax may have had something to do with this. 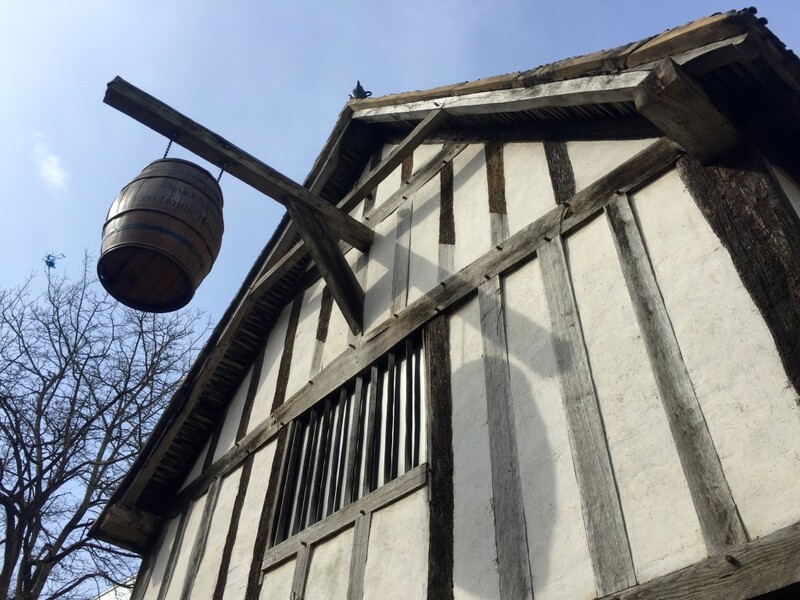 The merchants duly built vaults underneath their houses so they could keep an eye on their wine and store it at a constant temperature – about 17C – throughout the year. A 14th century wine merchant only sold wine by the tun – almost 1,000 litres or about 216 gallons. They sold their wares to rich aristocrats from all over England who would send their butlers to Southampton on promises to buy the finest wine the city has to offer. The wine was mainly from the Bordeaux region of France. But merchants also imported wine from Italy, Spain and Crete. 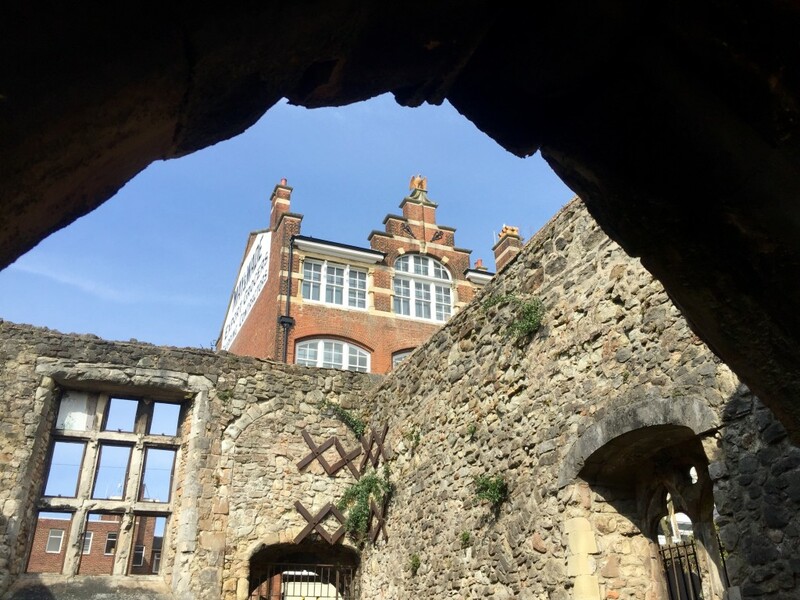 There were once more than 70 wine vaults in Southampton’s old town. 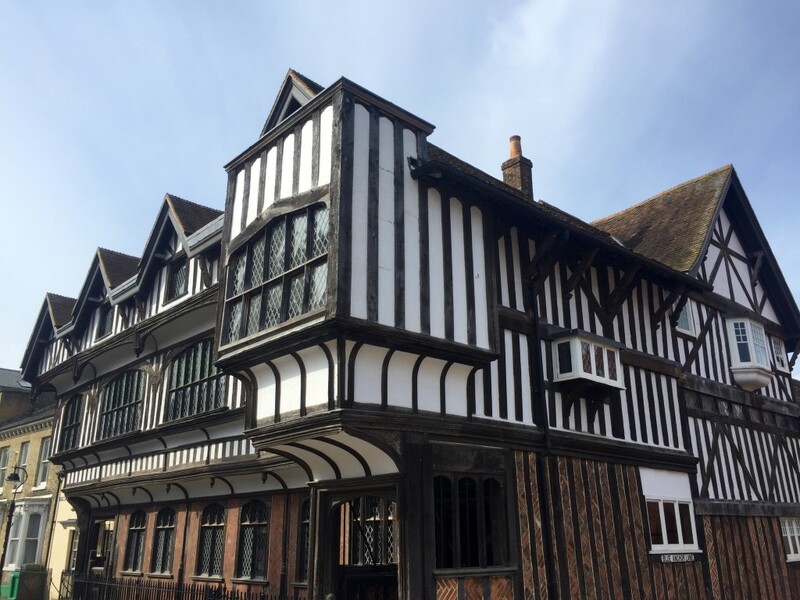 Now there are just 25, including the undercroft of the Medieval Merchant’s House – a restored 13th century home, which is a tourist attraction managed by English Heritage. We had a peek down the steps into the Merchant House vault on our way from the tour’s starting point at the nearby Tudor House. However, the first vault we went into was near to the ruins of the Weigh House, another medieval building razed by Hitler’s bombs. Inside, Dr Russel explained how vaults like this one most likely came as a kit, making life easier for the medieval brickies tasked with building it. In its original state, the vault had small windows so prospective buyers could examine the wine in the daylight. 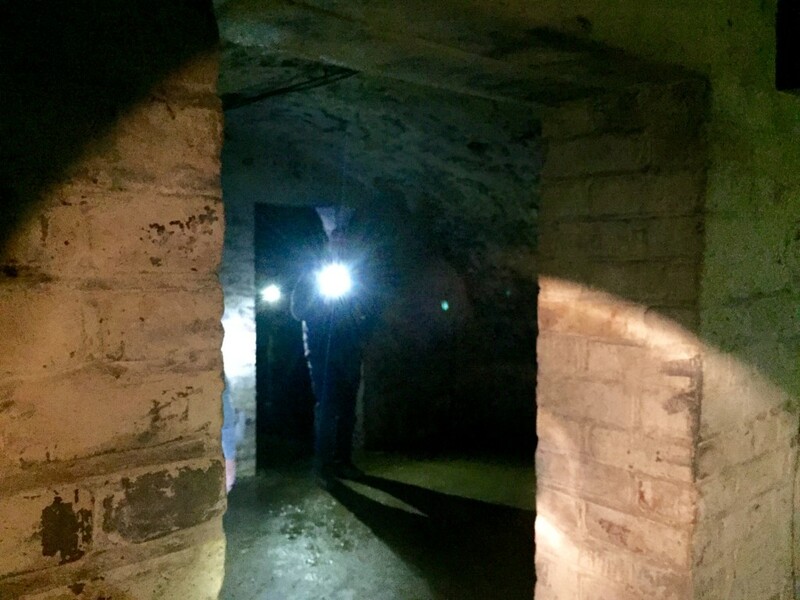 Today, with the windows long filled in, it would have been pitch black if not for our torches and the chink of bright light at the small entrance at the far end of the cellar. After our haunting experience at 94 High Street, we slipped past some of those new apartments and cafes and strolled up to the “Lankester Vault” opposite the Dolphin Hotel. Despite the steps that go down to this vault slap bang in the middle of the pavement, this was another landmark I hadn’t noticed before. Our next stop was back towards the Tudor House. 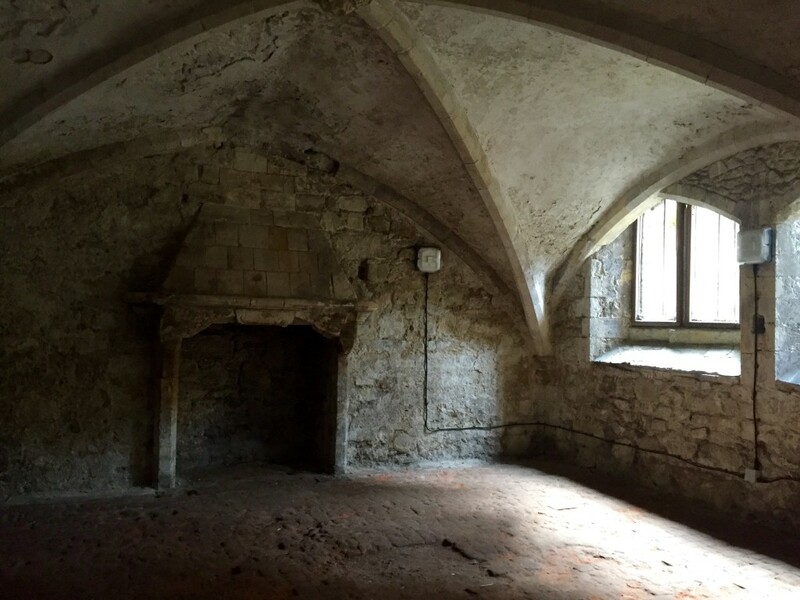 “The Undercroft” is the fanciest of Southampton’s remaining vaults. It has cathedral-like arches, a huge fireplace and intricate carvings of acorns, oak leaves and human heads set into the ceiling and walls. Dr Russel told us it would been even more impressive in its pomp, with walls painted dark blue and adorned with golden stars and moons. Maybe this made the wine, which turned to vinegar in just a few months, taste better? Next, we made a quick detour down to “The Arcades” along the old town walls. It’s hard to believe that this was the water’s edge before the mid-1800s – much of this area, including the Southampton Docks, is built on reclaimed land. The arches here were where merchants’ warehouses opened out onto the water. But, on Sunday 4 October 1338, French raiders stormed the city. They burned down buildings, looted homes and – much to the King’s dismay – made away with his wine. He soon ordered that the arches be filled in to improve the city’s defences. The final vault we descended was on the north-west corner of St Michael’s Square by St Michael’s Church – the oldest building still in use in the city. This was another vault that served as an air raid shelter in World War II. It still had the blast walls that divided the space into sections making it feel cramped. It was also damp and it seemed colder and darker than the other vaults we’d been to today. 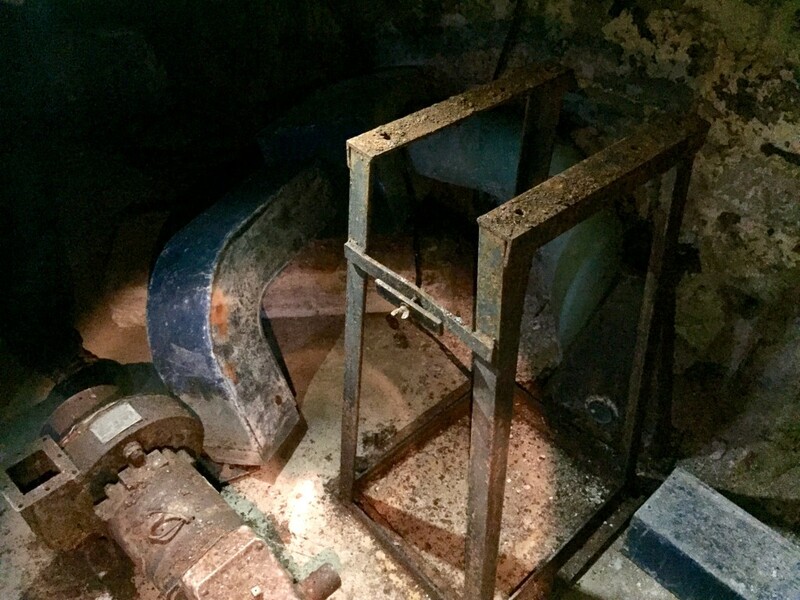 Remnants from the shelter’s ventilation system littered the far room. Even the cylindrical brick porch that housed its narrow steps had an end-of-the-world feel. I didn’t like it. I was glad to get out of this one. We had expected to learn lots of about Southampton’s medieval history today. And, we did. What I wasn’t prepared for was an appreciation for what it was like for those brave people – normal souls like you and me – who took refuge under the streets of Southampton during the war. How would I cope in such circumstances? As we left the tour group to grab a snack at one of those new cafes in the High Street, I hoped that I’d never have to find out. 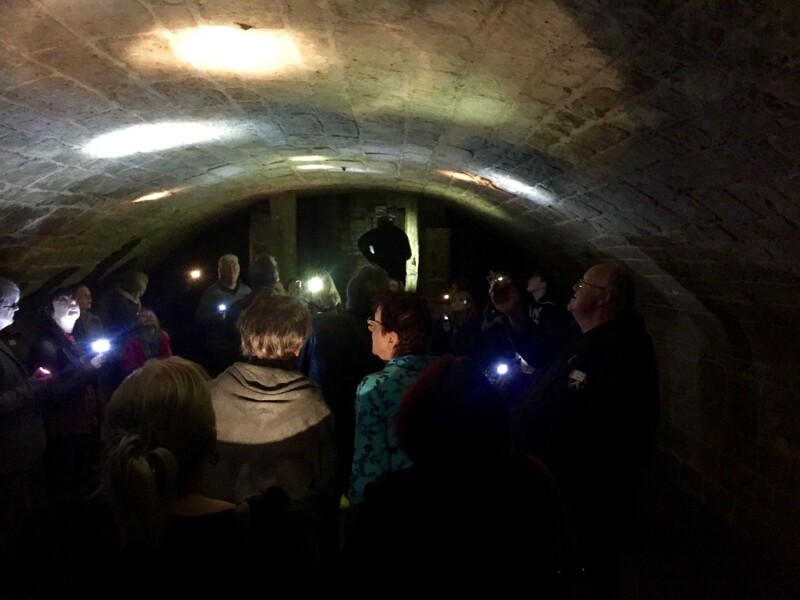 Info: Tours of the Southampton vaults happen several times a year and cost just £5. Keep an eye on the Tudor House and Gardens events page for upcoming tours. There are also a variety of other tours in the old town area including self-guided walking tours. Find out more at Discover Southampton and See Southampton.